The ideal choice for anyone looking to promote their business logo, the Lionel Mason Jar does not disappoint. 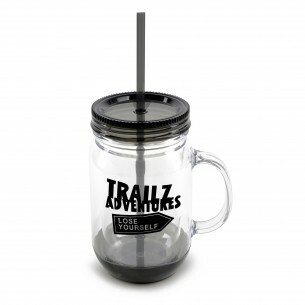 Equipped with a double-walled plastic interior for added insulation and a spill-proof screw top lid for convenience, this is guaranteed to bring you 550ml of your favorited refreshments. The additional straw makes it unique and easy to use while the multiple colour option allows you to find what's best for you.